In industrial agriculture, the use of mineral fertilizers reduced soil health and caused compaction, erosion and a decrease in microbial diversity and abundance. The raising awareness of soil health (e.g. the International Year of Soil in 2015), has also highlighted the importance of the earthworms. More and more people talk about the “best fertilizer for the world” and even in the Kindergarten, the earthworms are a huge topic again. Are all earthworms the same? Worldwide, there are more then 3.000 different species, from the smallest, just a few centimetres long, to the largest earthworms in Australia, which are several meters long. Several hundred different species live In Austria we have 65 different species. Depending on their habitat, we divide all species into 3 different groups. 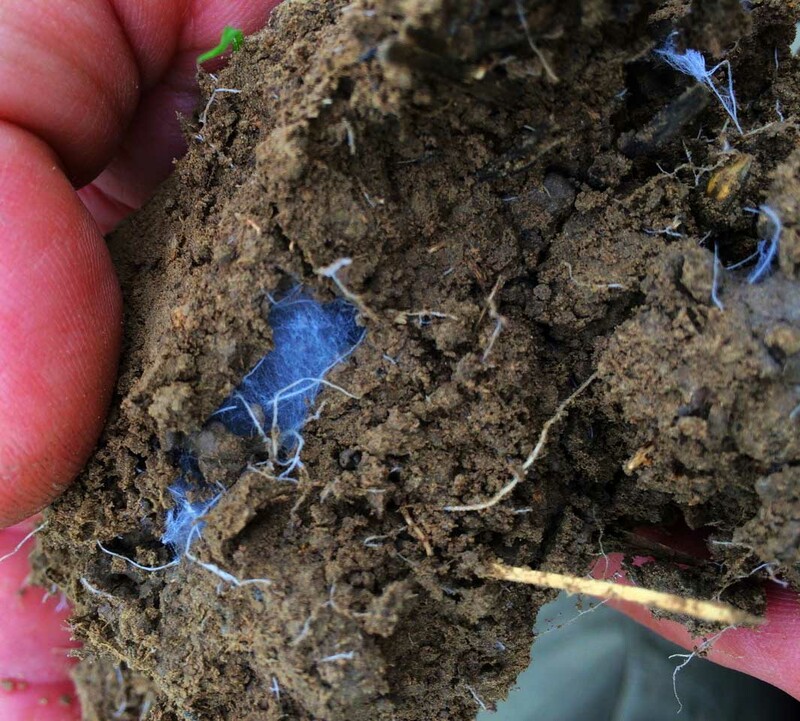 Epigeic worms live in the organic layer on top of the mineral soil, like the litter layer you find in the woods. The other two groups live in the mineral soil, one digging more vertically (also called aneic group) and the other group (endogeic group) digging more horizontally. The epigeic worms, the ones we use in our composting system are also called composting worms. You can also find them in manure or compost heaps. In optimal conditions, they live near the surface. This is why they are pigmented and therefore dark coloured (sometimes they have to withstand the sunlight). Because they live near the surface, they are often victims of drought, freezing or getting hunted by birds, pigs and even foxes. Mother nature gave them the ability to breed fast as a compensation. The aneic worms, one is the famous nightcrawler, are easy to identify. While the tail is nearly unpigmented, the head is pigmented. The reason for this is that the worms come out on rainy days, but always only their head emerges as they search for organic debris to pull into their burrow. The tail nearly always stays within the soil, so that if danger arises, the worm can immediately go back into the soil. Aneic worms want to stay in their burrows their whole life. Their burrows are coated with BIOHUMUS to prevent collapse when rain water comes in. They also build up reserves of plant debris on top of their burrows, which can be recognized by the interested gardener. These constructions are called straw stars. The third group of worms are the endogeic worms. They do not spend their whole life in stabile burrows. They just dig a hole as they search for dead roots and refill it as soon as they leave the area. They nearly never come to the surface, therefore, their body is not pigmented at all. You can clearly see all their intestines through the transparent skin. So what do the worms do in the soil? Without their microbiome, they are nothing – they could not even bite from a leaf, because earthworms don´t have teeth. The earthworm therefore strongly depends on the microbes, which are starting to decompose the plant debris. For its part the earthworm is providing the perfect habitat for the microbes in its burrows. So what is the earthworm exactly doing in the soil, what makes him so invaluable to the soil ecosystem? First of all, earthworms are digging in the soil. They aerate the soil and make it possible for rain water to be absorbed easily. Thinking large scale, this can have a huge impact for flooding! German scientists reported that soil with earthworms in it can absorb up to 100 litres of water per hour and per square meter, whereas compacted soil would run off most of the water, which would take away topsoil and create flooding. Such events cause damage worth billions of Euros in Europe. 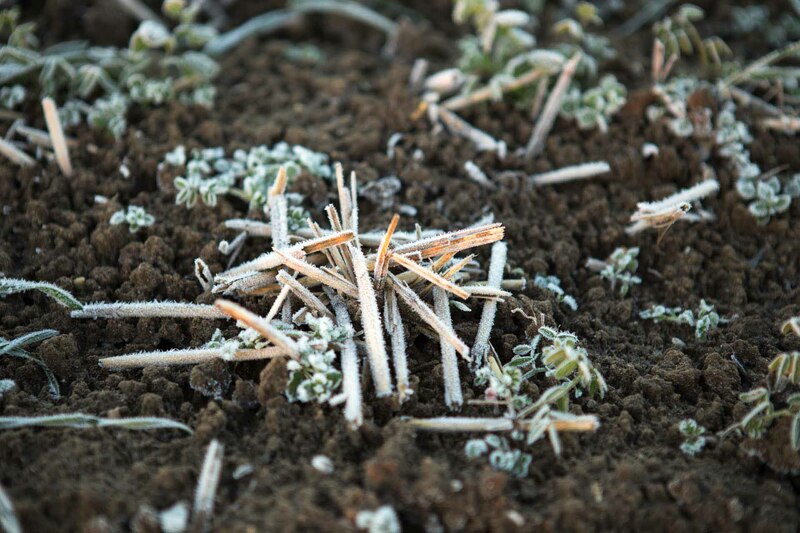 This damage could be prevented, if farmers took better care of their earthworms. 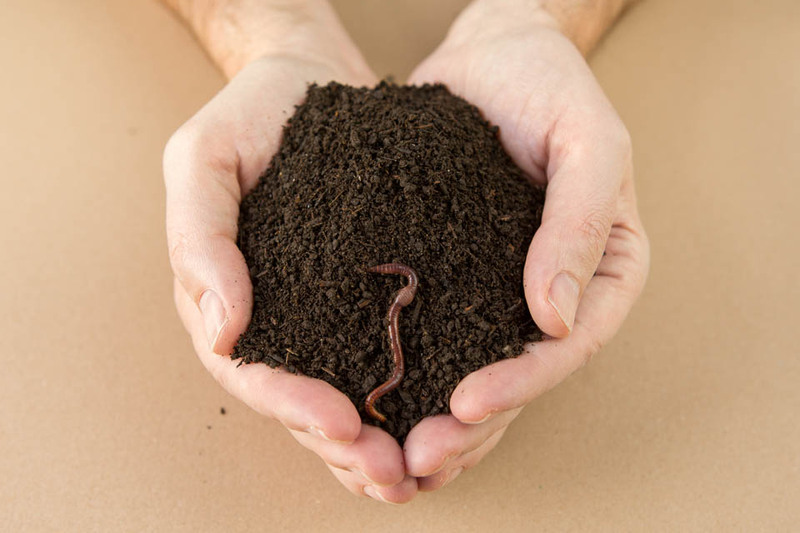 Secondly, earthworms mix organic matter into the soil (carbon capture – something geoengineering companies have been trying to do for many years) – and deposit their BIOHUMUS. This can be easily understood when you take a closer look at root growth. Normally roots grow directly in one direction (often downwards). If plant roots enter an abandoned burrow, they stop growing forward, but try to enjoy every single area of the burrow to make sure they get all the benefits from the BIOHUMUS. Party time! This zone which is influenced by the earthworms play such a major role in soil that scientists decided to name it: Drilosphere (drilos is Greek for earthworm). The drilosphere is the earthworm burrow and the surrounding approximately 1 cm of soil. This is where the earthworm is active and therefore depositing its BIOHUMUS and mucus, a secretion which is food for microbes. Besides loosening, aerating, mixing and capturing carbon, the main benefit comes from their BIOHUMUS. It contains all the main nutrients and trace elements in the right ratio (not surprising, since it is made from plant material!). This is why BIOHUMUS is called the best fertilizer in the world. The development of the mineral fertilizers was based on the assumption that providing a higher level of the main nutrients nitrogen, phosphorus and potassium would automatically lead to higher plant yields. However farmers realized that the bigger plants are also much more vulnerable to wind damage, pests like aphids and diseases. If you compare fertilizer to food, mineral fertilizer is like fast-food and BIOHUMUS is like an organic apple (an apple a day, keeps the doctor away ). The apple does not only provide sugar, but also has a rich diversity of vitamins, enzymes, antioxidants and secondary plant substances. It contains more than 100 substances, which not only feed us, but also stimulate our immune system, promote digestion and inhibit inflammation. An apple’s value is not just because of its amount of nutrients, but also because of the balance of the nutrients! and the most important agent, the soil microbes, which help the plant to mobilize nutrients, provide protection and induce disease resistance by stimulating the plant’s immune system. There is no substance in the world that has a greater positive impact on soil as BIOHUMUS. Because 90% of our food comes from that soil, the impact is also on us! BIOHUMUS holds 10000s of different soil microorganisms. This biodiversity is the most important characteristic, because it makes sure, there is not one single species dominating the system. This balanced equilibrium is the key for healthy soil, healthy plants and healthy people. Don´t go too fast over this part of the text, it has an important meaning: While humans try to fight against diseases and pests by killing them, or trying to wipe them out, nature reduces the impact of the bad guys, by enhancing biodiversity. With the increasing number of people suffering from allergies, scientists found out that this would be a good reason to send our children back into the gardens, where their immune system can learn to work properly again. Plants use the diversity of soil microbes to actively communicate e.g. to mobilize the nutrients which would otherwise not be available to them. By changing the composition of their root exudates, the plant can control which microorganisms are fed, and so which nutrients are delivered to the roots. In this way the plants can breed their own microbiome – the specific microbial community which is best for that plant under these specific conditions. It is important that we realise that soil is still a “black box” for us, for example, we are still not able to breed 99% of the soil microbes, because we still do not know, which environmental condition each species needs. Therefore, we cannot make soil in a technical process. 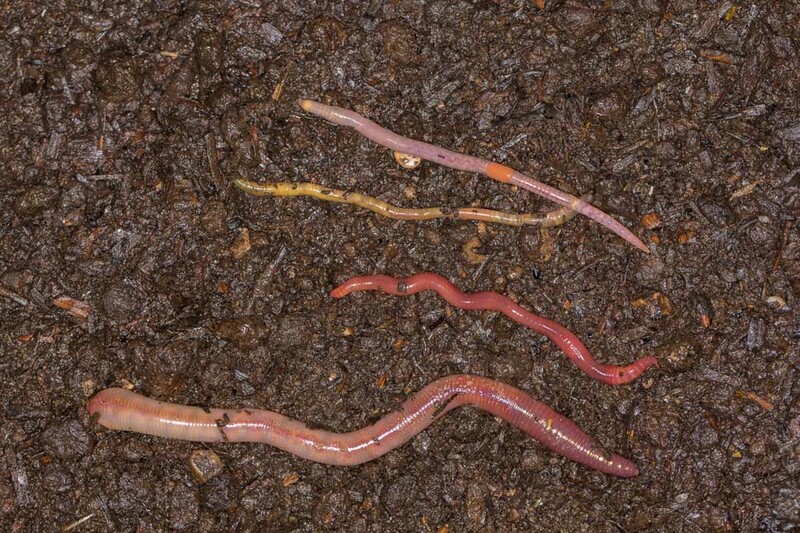 Only the soil microbes can create soil, working together with the most important soil animal, the earthworm! The rediscovery of the importance of the earthworm is therefore not another hype or a passing fad. It is the logical implementation of a new scientific branch of research, biomimicry. Scientists are copying nature in design (think about the Lotus effect or wing flaps on aircraft copied from birds). We want to go further. Instead of just copying, we are working in partnership with nature to produce the best fertilizer and soils. Even though we don´t understand exactly why things work so well in soil, we can still use them. Learning exactly why it is so perfect, can be done later! Why no fertilizer can beat BIOHUMUS! Adding fertilizer is, in principal trying to trick nature. When we add concentrated nutrients in soluble form we try to make soil more fertile or just get a higher yield. The problem is, it is extremely difficult to get the right amount of nutrients. The efficiency of mineral nitrogen uptake in general is less then 50%! Already a little bit too much fertilizer pollutes ground and surface water through nitrate leaching and nitrous oxide,[ a greenhouse gas, which is 300 times more damaging than carbon dioxide]. The microbes in the soil are harmed by the fertilizer itself and are not fed by plant root exudates, as long, as there is unnatural nutrient available. The plants are forced to use this nitrate in the soil, which results in high nitrate level in plant biomass. But nature shows us what is needed for healthy, strong plants: The natural cycle including BIOHUMUS! VERMIGRAND BIOHUMUS clearly is different from mineral and even organic fertilizers. The resources we use are organic certified, or ecologically valuable material like organic lucerne hay, organic wheat and hemp straw. Additionally, we use wood debris and the solid part of anaerobic digestate coming from renewable resources. soil aggregates, which are held together by active microorganisms, help to store water and keep enough air in the soil. They also provide space for roots and soil life. Conventional fertilizing is like, when you put a fully loaded plate on the table. It does not matter if your plant is hungry or not, or which nutrients they really need in a particular situation. In nature, the plant is controlling the nutrient flow, while communicating with the soil microbes. It feeds the microbes with so called root exudates, organic acids, carbohydrates etc., while the microbes are mobilizing nutrients, the plant can absorb. If the nutrients are already provided as a soluble salt, the plant does not have any reason to feed the microbes. The microbial diversity is weakened. Even if the plant is growing faster, it is becoming weak and is not able to defend itself against diseases and pests. It is the same situation with humans, if we only eat fast food, we are getting big, but at the same time more vulnerable to common diseases of civilisation. BIOHUMUS helps to reverse this process and re-activates the communication between plants and the soil microbes. This brings back the all important soil life. The well balanced and complete nutrient pack in BIOHUMUS offers everything a plant needs for healthy and strong growth. Strong also means more resilient. The outer skin (also called epidermis) gets stronger, making it more resistant against plant damage, insect bites (e.g. aphids) and diseases. With such plant vigour, less or no pesticide use is necessary. The complete pack of nutrients and soil life which BIOHUMUS delivers contains the phytohormones like auxin, gibberellin and cytokinin which are responsible for a faster germination process, stronger root growth and extraordinary healthy fruits and vegetables. 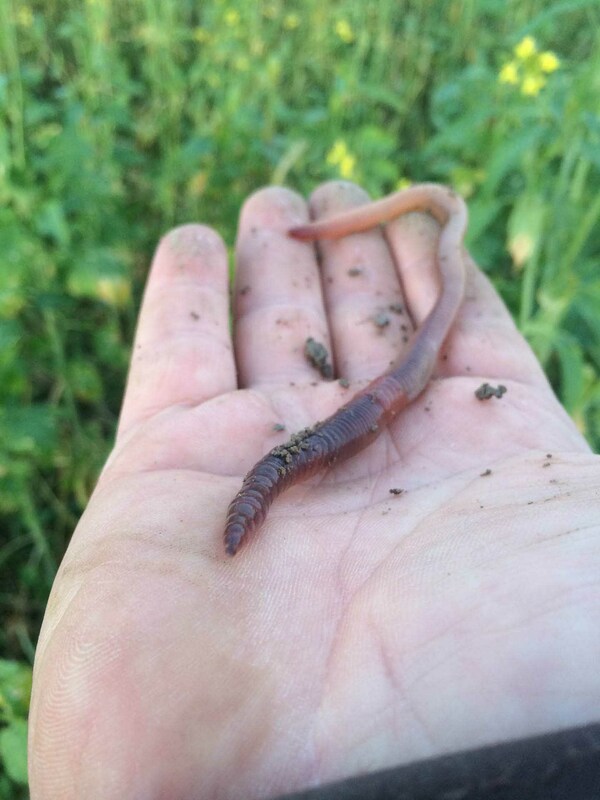 A » meta-analysis from University of Wageningen lists, that “on average earthworm presence in agro ecosystems leads to a 25% increase in crop yield and a 23% increase in aboveground biomass”! The application of VERMIGRAND BIOHUMUS is very easy. A little goes a long way and it is nearly impossible to overuse. The crumb structure and stable soil aggregates prevent sealing and crusting of the soil surface. The roots can easily penetrate the soil. Rain water does not run off, but is absorbed and the soil can breathe. An additional benefit of BIOHUMUS is that it does not smell and is a safe product in contact with children and pets.